I believe that my political views are enriched by discussions with other Conservatives. I find that when we talk policy, we can argue the best approach that we should take concerning the issues of the day. 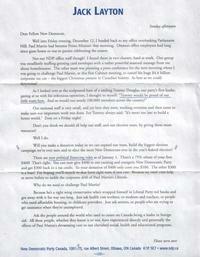 However, I also engage in discussions with others who identify themselves as Liberal or as a supporters of the NDP. One of my best friends is, in fact, a staunch supporter of Mr. Jack Layton and the Orange Squad. I find that through discussion with him, I can at least understand, while rarely support, his point of view and that of other lefty Canadians. My friend recently shared a letter that he had received from Mr. Layton and wanted to point out something he found quite ironic and baffling at the same time. I’ve scanned in the letter and you can access it below. Let’s follow some Layton logic shall we? 2) so he can take out ‘a loan’ from his members and then, ultimately, from the rest of us. 4) to raise all of our taxes! 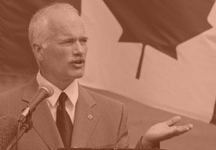 It’s difficult to understand Jack Layton’s logic, yet it’s entertaining to read his letter. 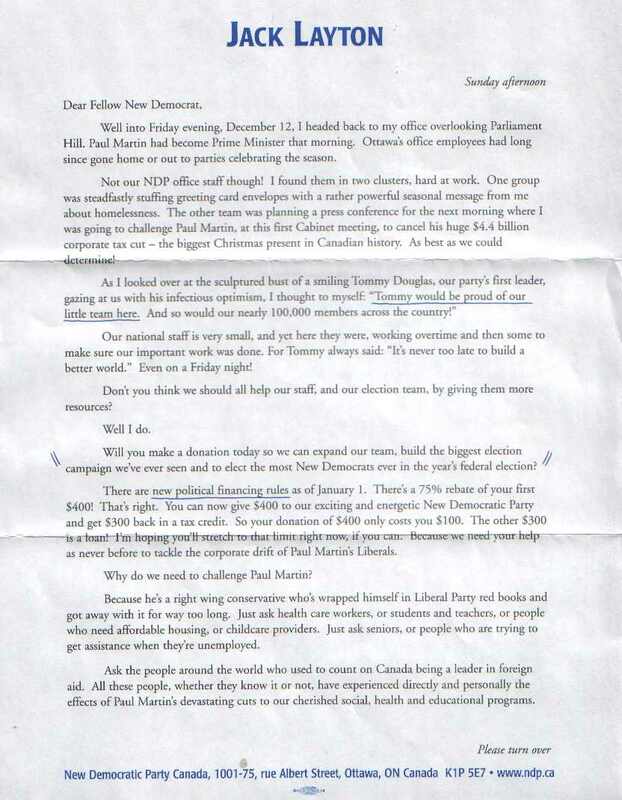 From his fatherly pride over his passionate spunky team of die-hard workers “Tommy would be proud of our little team here”, to his Xeroxed ‘handwritten’ underlining of all the important parts of his letter, to the leftist rhetoric peppered throughout his piece of creative writing.